Anyway, during our hike we walked past a couple of older women. I could hear one saying to the other, "There's your expert. Ask her your question. Look at all those kids." They proceeded to come up and ask me how old the baby was. At that point my little guy, Evan, was 6 months old. She wanted to know how much he ate and how often he was eating. I probably should have known better than to tell her because she began to tell me how her daughter was over feeding her 6 month old grand daughter. "She feeds that baby every two hours. The baby is so fat." It's that time of year again. The weather is getting warmer, trees are in bloom, and the kids are playing outside. Spring Fever!!! Every year it happens to me. I get to this point in our school year and I am so ready for it to be over. I am ready to think about school for next year, but I must press forward and finish well. Even the kids are ready to throw in the towel!! Next year will be a big change for us as we start Classical Conversations. This program is completely different from anything we have ever done so far on our homeschool journey. I already have all of our school books for next year so I can pour over them and try to learn as much as possible before everything changes. It's a lot to take in and process. Prayers are appreciated!!! Read this blog post today and it touched my heart. We all love our children, no matter what! 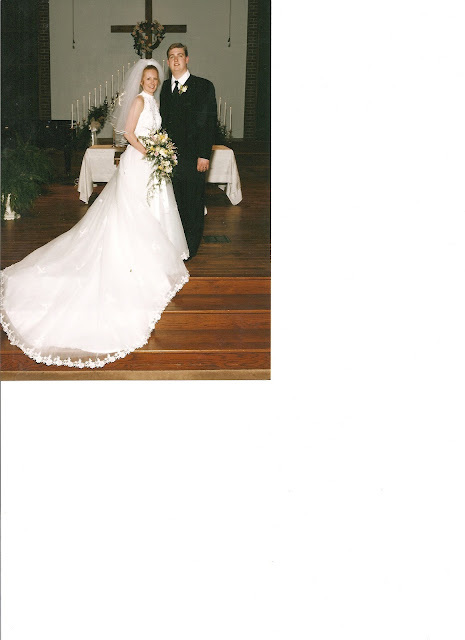 Happy 14th wedding anniversary to me and my husband. I can't believe it's been 14 years already. Sometimes it seems like yesterday, but more often it seems like we've been together forever. This fall we will have been together for 19 years. I was a mere 16 years old when I started dating Ryan. 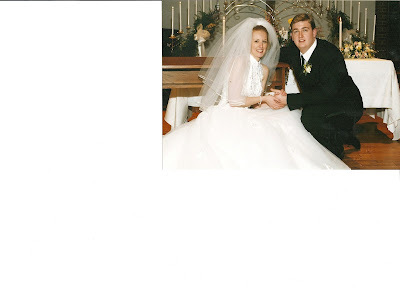 Neither of us would have dreamed that we would have 6 children (two of which are in heaven) and be living such a blessed and happy life together. I love you babe! Forever....it only keeps getting better (and I really believe that even on days that I'm grouchy!) Thanks for loving me! Today I am linking up with Kelly's Korner to share a day in a life. Our days either seem pretty typical and boring, or we are on the run with WAY to much to do. We had no where to go all day today, so its been pretty quiet around here. By 6-6:30 Isaiah and Olivia are usually awake and eating breakfast and maybe watching a cartoon (even though Isaiah is supposed to be getting the dog out and starting school!) I try not to get out of bed until 7:30am but that doesn't always happen. Allen eats around 8am and this morning I read the older kids our devotional while I fed him. After breakfast Olivia and Allen played while the older two started their school work. Isaiah had two science experiments today that had to do with combustion; so I had to keep my eye on my little fire bug. I ran around doing laundry, dishes, and making sure Olivia didn't have to potty. We all eat lunch around 11:30-12, including the baby. After lunch we reviewed our Classical Conversations material, I graded some papers, started work on my Bible study, talked to my sil on the phone, and then Emma and I practiced violin together while Olivia watched a movie! Right now the movie is still on and Allen is laying down for a nap. The older two should be upstairs reading, but I have a feeling they are playing video games. Tonight two of my nephews and a niece are planning on spending the night after the girls go to a violin workshop. We'll have dinner, play, and then it will be bedtime! I love days like this where we don't really have anywhere to go all day long. Most days we are running to violin or piano lessons, a doctor appointment, haircuts, basketball practice, or to our homeschool co-op. Once warmer weather comes the kids will speed through their school work to get outside to play as quickly as possible! Can't wait to get some sunshine! !